Mumbai generates 8,780 metric tonnes of waste daily, out of which approximately 3,000 metric tonnes is wet waste. Only 100-150 metric tonnes per day (MTPD) is treated to localised composting and biogas generation. The civic body, Municipal Corporation of Greater Mumbai, has only been able to scientifically dispose of 30 percent of its total waste and recover a mere 3 percent of targeted 80 percent municipal solid waste. The present dumping sites of Deonar, Mulund and Kanjurmarg with a total area of 151Ha have almost exhausted capacity. With the increasing population, Greater Mumbai will require 1,400 sq kms of land to dispose its waste. To promote the concept of circular economy ‘buy, consume and return’ in waste management as against ‘buy, consume and dispose’ model, a symposium was organised by Praja Foundation and Mumbai Vikas Samiti. Discussions were held on current practices in waste management and the way forward with effective techniques and the concept of circular economy to manage solid waste. Circular economy promotes nurturing of resources, reduces consumption and leads to innovation in tackling waste management. 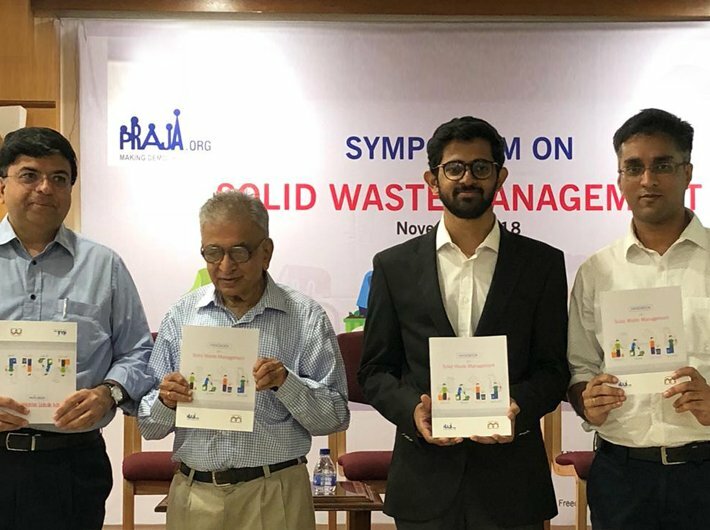 A handbook on ‘Solid Waste Management’ that recommends decentralised methods of processing solid waste, especially wet waste, was launched at the event. The book showcases a successful model operating in F/South ward in Mumbai and encourages citizens to adopt the same in achieving the zero garbage future in their own localities. Shiv Sena corportaor Sachin Padwal of the ward talked about how they recycle and convert food waste from 14,500 households and 256 chawls in the areas into biogas by the plant set up in the ward itself and use the same in the ward canteen. He also said that segregation of waste within the ward has brought down costs from Rs 2 crore to Rs 80 lakh annually. “The ward is complete dengue and malaria free,” he said. 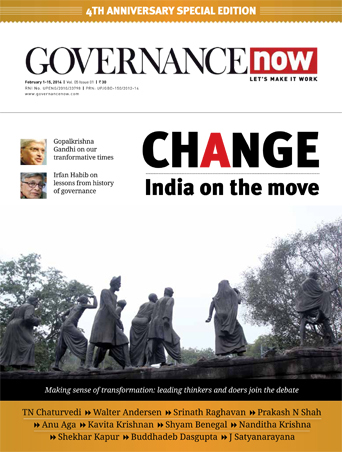 “In most Indian cities the problem of solid waste management is acute. It is particularly bad in unauthorised settlements and slums in urban areas where municipal solid waste management is virtually absent. 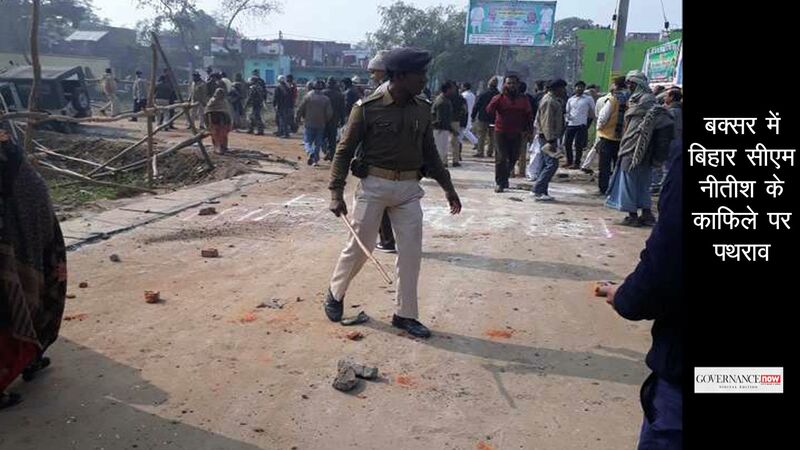 Yet we see no constructive long term plan to solve this crisis,” said Nitai Mehta, Trustee, Praja Foundation. Milind Mhaske, director, Praja, said that the treatment of waste management is an urgent public health hazard and active participation of citizens is crucial. “The responsibility of this effectiveness lies not only with the MCGM but also with the people living in the city,” he said. Convenor, Mumbai Vikas Samiti, SN Patankar said that the current centralised method of waste collection is not generating any revenue for the corporation. However, if the proposed decentralised method is implemented not only MCGM will save Rs 400 crores but also generate revenue of Rs 1,100 crore.